Dumagat Freedive is located in idyllic Marble beach in the quiet barangay of Ginablan, 10 kilometers south of town on the island of Romblon in the heart of the Visayas. You can fly into Manila and reach Romblon by overnight ferry. While it may be possible to reach Romblon from other ports, the most probable routes are from Batangas, Boracay (Caticlan) and Roxas. Buses bound for Batangas leave every hour from a number of terminals in Manila particularly in Buendia. Batangas is, on average, a 3-hour air conditioned bus ride from Manila. The bus stops right at Batangas Pier which makes it very convenient. A taxi or more ideally, Grab, should be able to get you to one of these terminals. Time tables, hopping on ferries, pumpboats, buses, jeepneys, and tricycles take time. Don’t rush. You might as well have fun with the journey or it can get frustrating. Transportation changes and delays are fairly common anywhere in the country. Be flexible with your travel arrangements. Departure and arrival times can change due to a number of reasons. Please check the ferry operator’s website for up-to-date schedules and bookings. Keep in mind that transportation changes and delays are fairly common in the country. Be flexible with your travel arrangements. Certain times of the year, particularly in the summer and holiday season, it can be a challenge to book tickets from Batangas to Romblon. An alternative is to take the 5pm daily Montenegro ferry from Batangas to Odiongan. Upon arrival in Odiongan, there should be a jeepney and/or mini-bus at the pier bound for San Agustin already waiting for passengers. There are regularly scheduled pumpboats and ferries that service the San Agustin – Romblon route. Another option is by flight from Manila to Tablas, the island next to Romblon. Cebu Pacific Air flies from Manila to Tablas a few times a week. Flight duration is about an hour and 10 minutes. From Tugdan airport in Tablas, take a tricycle to San Agustin pier (roughly 30 minutes) and then hire a local boatman to take you to Romblon. The boat ride takes about 1.5 hours and costs 1000 pesos on average. Your route will likely be Boracay > Caticlan > Looc > San Agustin > Romblon. Pumpboats bound for Caticlan leave Boracay as early as 5am and they run every few minutes throughout the day. It takes roughly 20 minutes to get across from Boracay to Caticlan. From Caticlan, a pumpboat bound for Looc (a municipality on the island of Tablas) leaves around 8am. It takes 2.5 to 3 hours to make the crossing from Caticlan to Looc. From Looc, you can take a jeepney or a tricycle to San Agustin which takes roughly 2 hours. From San Agustin, you’ll just need to get across to the next island which takes roughly 45 minutes. It’s best to plan on staying the night in San Agustin since it since it’s very likely that you will miss the pumpboat to Romblon pier. Rest and unwind a bit. The pumpboat from San Agustin to Romblon pier leaves twice daily at 8am and 1pm. 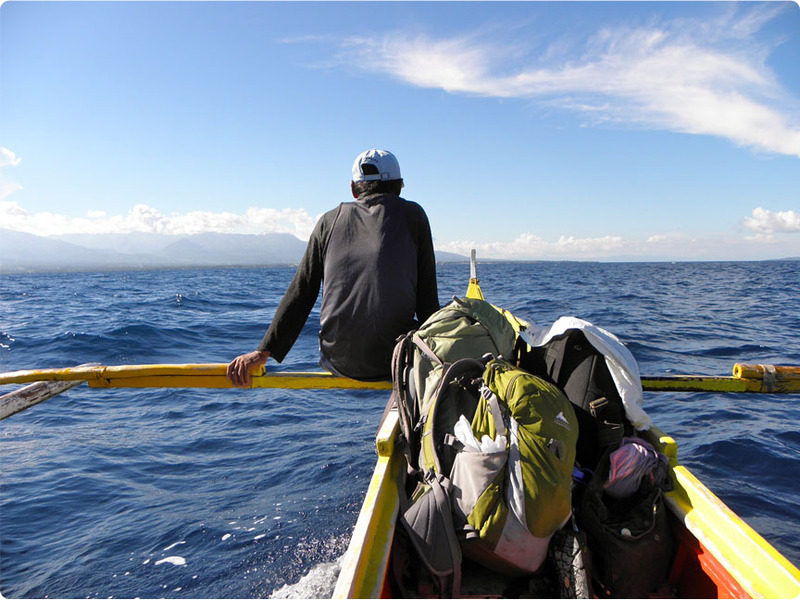 If you’re in a rush to get to Romblon, you can get a fisherman to get you across. Don’t be afraid to ask the locals. Another option is to take 2Go ferry from Caticlan Jetty Port to Odiongan. 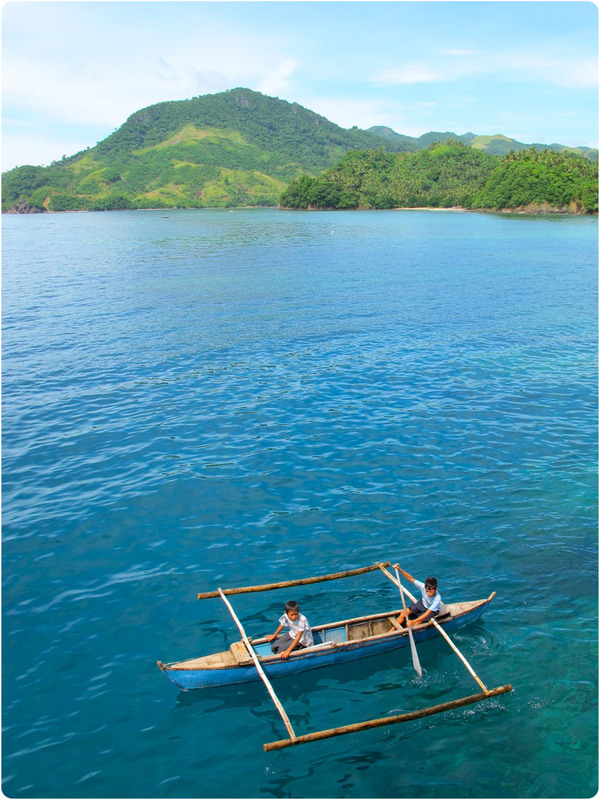 The ferry departs Caticlan on MO, TU, TH, FR and SU at 8am. It arrives at Odiongan port the same day at 10am. And then make your way to San Agustin by motorbike or tricycle to take the 1pm pumpboat to Romblon.